SCI GME Recruitment 2017: Shipping Corporation of India has published an employment notification recently. So They are inviting online Application after publishing the recruitment news. They want to fill the 40 graduate Marine Engineer jobs. for that position, The Organization wants to select the Suitable candidates. So by conducting the suitable rounds only, they will filter the candidates among the applicants. The Organisation was going to conduct the selection rounds of All India online test and the interview etc. 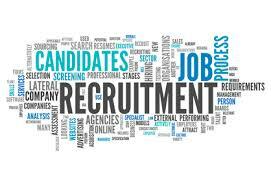 Aspirants have to check the Eligibility criteria before going to apply for this recruitment. 23rd August 2017 is The last date to submit the Online Application forms. 25th August 2017 is the last date of sending hard copy of the application form. SCI GME Notification 2017 has been discharged. The Graduate Marine Engineer Classes are commencing from 1st October 2017. The accessing of the Application form starting date is 24th July 2017. Graduate Marine Engineers Course has held at SCI’s Maritime Training Institute at Powai, Mumbai. Total 40 seats. These seats have distributed among various categories. Syllabus and Exam Pattern is also available on this page. if you want to start the preparation. Age relaxations are considered as per the norms in the organisation. To recruiting the positions In the SCI GME the organisation is going to check the candidate’s medical fitness. Organisation Name The Shipping Corporation of India. Last Date 23rd August 2017. SCI Job vacancies 2017: Further information about the SCI GME Recruitment 2017. for both male and female candidates, they have to pay the application fee of Rs.4,50,000. That was given in the official notification clearly. The Basic Education Qualification required in order to join the course B.E /B.Tech in Mechanical Engineering. For SC/ST/Female Applicants, the Upper age is relaxable as per the SCI norms. for further information about the age, relaxation visits the Official Advertisement. Selected candidates will get the the stipend of the Rs.15000 Per month. Coming to the Application fee the SC/ST candidates have to pay the application fee of 500Rs. while the OBC candidates should pay 1000rs/-. Candidates get the Overview of the details on this page. 9th September 2017 is where The written examination was scheduled on this date for the training candidates. Some of the important dates are clearly mentioned in the table format at below. For more information details we have distributed on this page you may check the below section. The SCI recruitment 2017 Application form is available on this current page. During the preparation, The Syllabus pattern and the other important stuff is used for the preparation. These are very helpful for the Applicants of the SCI. So to improve the score in the written exam we need to prepare with the help of the previous papers. So keep visiting our site regularly for the daily updates. Education Qualification: B.E /B.Tech in Mechanical Engineering. For Further Clarification visit the Shipping Corporation of India GME Notification 2017. Age Limit: For UR/OBC candidates, 28 Years. For SC/ST/Female Applicants, the Upper age is relaxable as per the SCI norms. Read the Official Advertisement for further information. Pay Scale: A Consolidated stipend of Rs.15000 Per month. Open the Official website, scigme.eadmissions.net.